We are very happy to welcome Dr. Lena Herich and our new trainee Kim Hoang in our team. Lena joined Staburo earlier this year with her work experience and her excellent education background. She supports our clients in the areas of biostatistics & statistical programming as a Senior Biostatistician. Kim supports us, as a trainee, with her very good education and will further develop her practical skills in statistical programming and biostatistics. 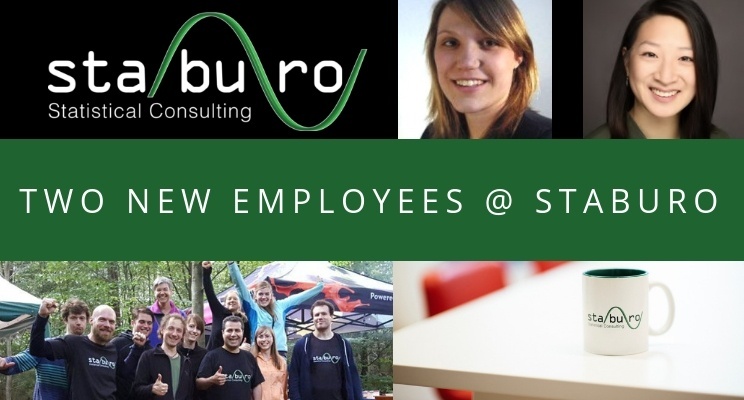 Click here to check out more informations about our Staburo Biostatistics Trainee Programm! We are looking forward to a great collaboration!